As the weather gets colder (and wetter!) in Ireland I find myself craving warming, comfort foods. I have been thinking of testing this loaf for a while and finally got around to it last week. 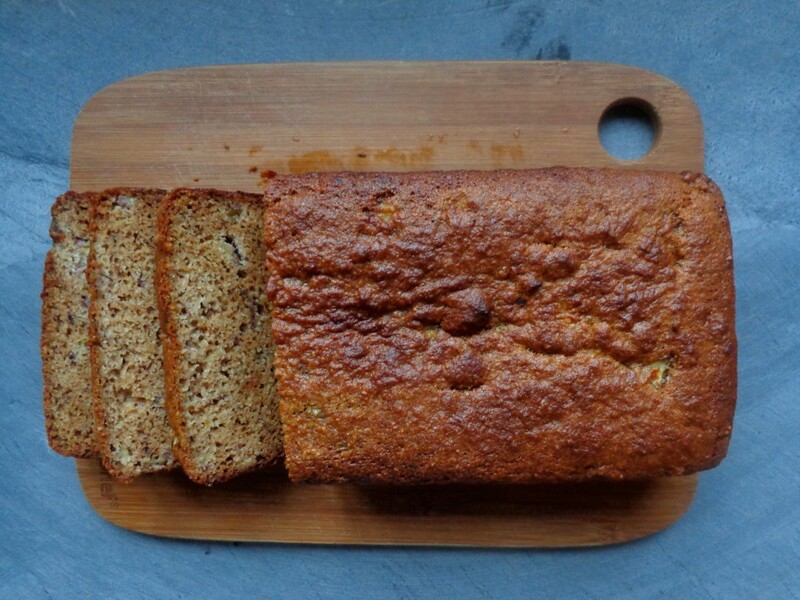 It was even more delicious than I thought it would be and it is destined to become my new favourite snack and the perfect dish to bake when I’m having friends over for tea during the winter. 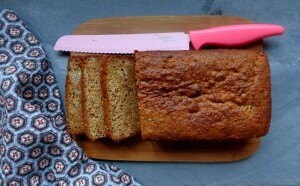 The spices perfectly balance the sweetness of the banana and this one will warm the cockles of your heart for sure. The consistency of this bread is perfect and it tastes great on its own or paired with my homemade Blackberry Jam. It usually doesn’t last too long in our house. I have a hard time explaining to my 2 and a half year old daughter that we have to wait until it cooks before she can dig in! This loaf should be keep in an airtight container in the fridge. 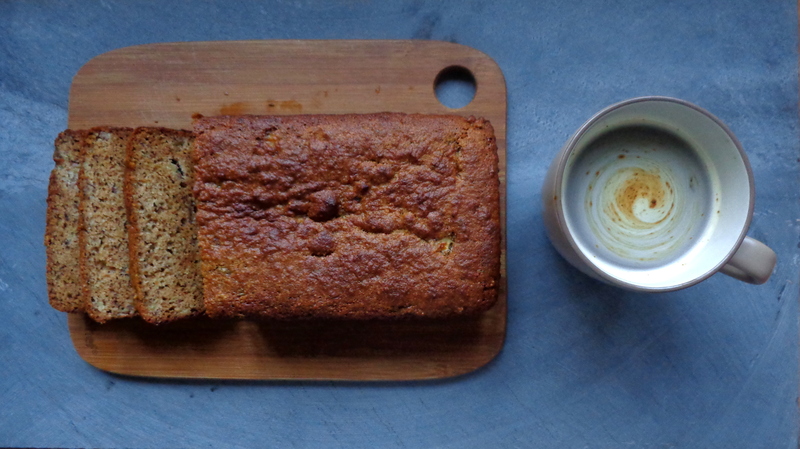 A warming, delicious ginger spiced banana bread. Perfect for the winter months! Mix all the dry ingredients together in a bowl. In another bowl combine the eggs, coconut oil, honey and mashed bananas. 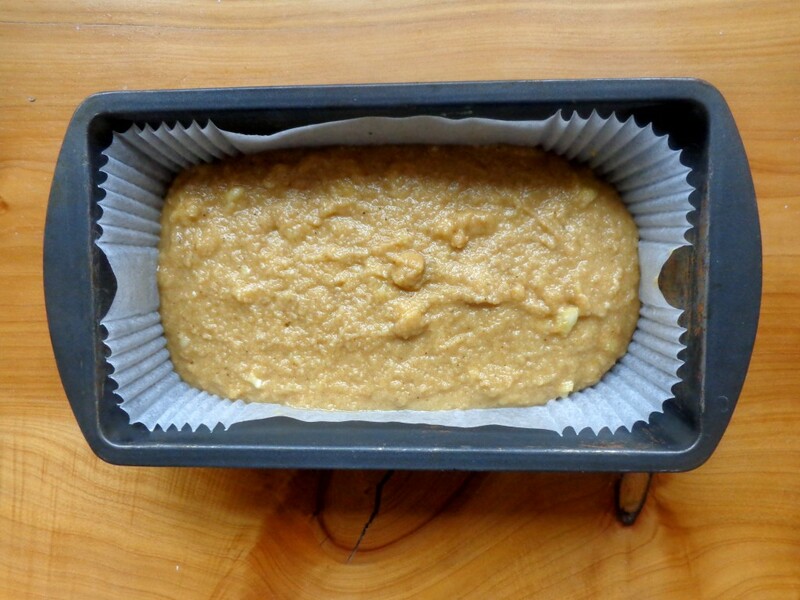 Pour the cake mixture into a lined loaf tin smoothing the top with a spatula or the back of a spoon. Bake for 25 minutes then remove and cover with tin foil. Bake for a further 20 minutes or until cooked through. Check the cake by inserting a skewer into the middle of the cake. If it comes out clean, then the cake is ready.